Welcome to Tanoan Country Club! Tanoan, the perfect place to live if you are seeking a beautiful home in a private & secure neighborhood. This wonderful gated community offers a private country club & beautiful golf course, together with incredible mountain views this community offers the best in amenities! Please continue forward to learn more about this exclusive location! Tanoan is a well established area of custom homes in a private gated community. 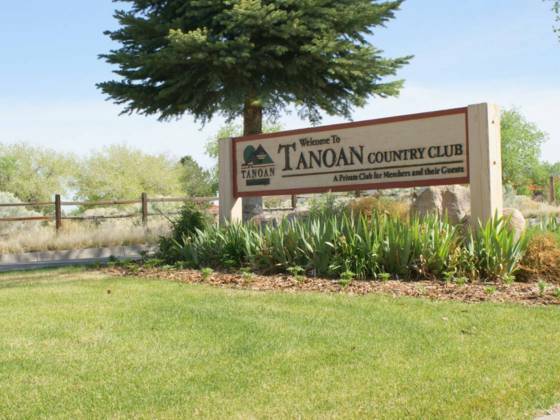 Tanoan is divided into two areas, Tanoan Country Club East & Tanoan Country Club West. Tanoan East is subdivided into smaller communities which include, The Highlands, Country Club Estates, Inverness at Tanoan, Broadmoor, Lalique & The Enclave. Tanoan West is subdivided, also into smaller communities, Kingswood, Wimbledon, Cypress Point, Torrey Pines, Village Green, The Champions, The Masters & Fairways Estates. The various subdivisions offer different home styles in various price ranges.